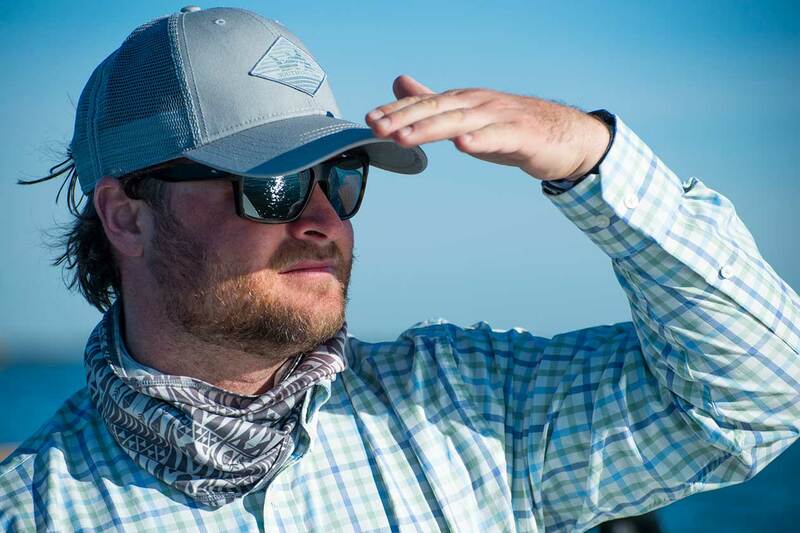 I’ve spent the last eight years working as a fly fishing guide with WorldCast Anglers in and around Jackson Hole, Wyoming. It’s hard to beat trout fishing in the Tetons and that’s why I make my home there. Growing up in the South though, gave me a love for warm Gulf waters, so when the guide season winds down, I’m more than primed to put down the oars, pick up a fly rod, and race to the marshes of Louisiana to chase redfish. The trip this year was fantastic, but much of it was made from overcoming dismal weather that marred most of our days in the marsh. Challenges, they say, make the story that much better and we came away with a good one. And while offputting to the redfish, one of the relevant upshots here is that the varying conditions provided a wide range in which the following gear was exposed and tested. With “sneaux” reported in the northern part of the state, we saw daytime highs in the upper thirtes, which advanced to the mid-seventies as clouds, wind, and rain gave way to clear skies and calm seas over the course of the week. I fished a Hatch 9 Plus Gen 2 Finatic reel on a 9-foot, 9 weight Orvis Helios 2 rod (recently upgraded as the Orvis Helios 3). Right out of the box, I was impressed by the build quality of the 9 Plus. It felt lighter than other similarly-sized saltwater reels, but sturdier. 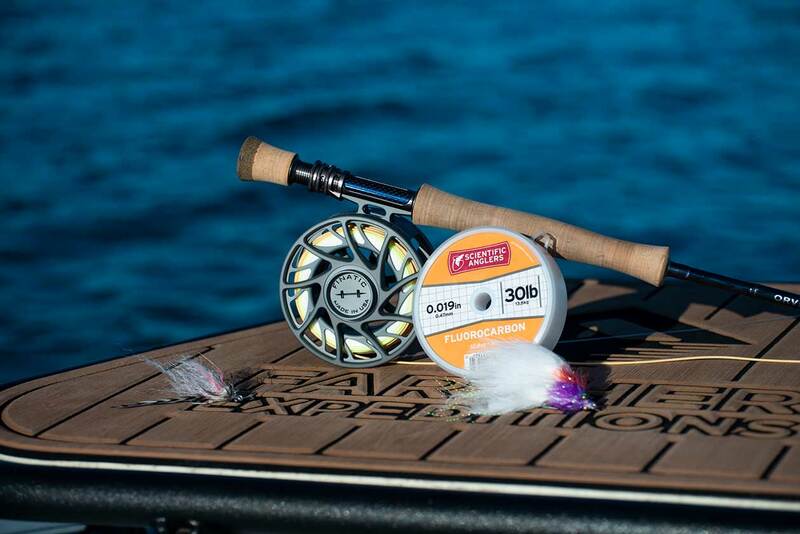 Specifically, the tight fit of spool into the frame eliminates line or leader material from snagging and binding as I’ve frequently encountered with other reels. Further, changing spools is a snap and easily accomplished with one hand, without tools, and without exposing the drag nor its lubrication, which has caused messes with other brands I’ve used. When it comes to performance, the 9 Plus is dreamy. There is a slight and I mean slight increase in tension as the drag control knob is tightened, and this is a good thing. It’s easy to screw down the drag in smooth increments without having to look down at the reel while fighting big fish. The angler is in complete control and the drag system instills confidence. The reel is also well-designed in terms of resetting for the next fish. As smooth as it is to tighten up the drag, so too when it comes to backing it off to strip out more line. Even at its lowest setting, the 9 Plus is unlikely to freespool and throw a bird’s nest. 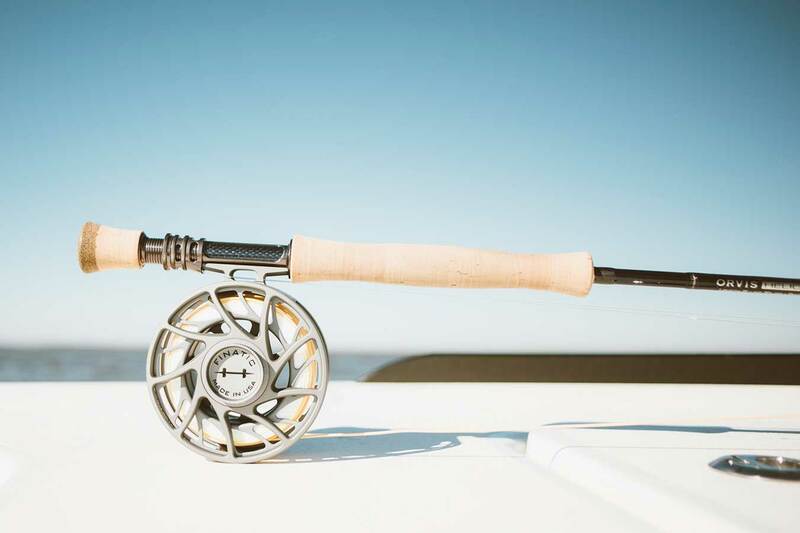 The fit and feel all contribute to an impression that the reel is the product of superior design with the angler’s fish fighting experience in mind. Cleaning the real is easy, too. Its open frame means spraying it off at the end of the day is the simple solution to reel care. There are no nooks or crannies for corrosive salt to hide. After my trip, I was speaking with a good friend who runs a fly shop in Georgia. I told him how impressed I was with the 9 Plus and asked him his thoughts. As much as he admitted to loving to fish Hatch saltwater reels, he said he was even more blown away by their freshwater series. Streamlined design, efficient to operate, and built to battle a dump truck; Hatch makes excellent gear and the 9 Plus Gen 2 Finatic is a winner. On the Hatch reel, I spun up Scientific Anglers Amplitude with AST Plus Grand Slam saltwater line. At first glance, it’s easy to think that few design elements could possibly be put into extruded synthetic material. Fish Amplitude and you’ll think differently. Personally, I’ve never been a fan of textured lines. For me, the gains in flotation are compromised because they get dirty faster and are harder to clean that smooth surfaced lines. I’m certainly not a fan of fishing textured lines in the salt where big fish make fast runs turning fly line into a band saw. Scientific Anglers has changed my mind. SA has created a line that, in its microtextured awesomeness, exceeds all my performance requirements without the offsetting compromises. Put another way, the line feels smooth, it’s comfortable to pinch while getting a fleeing fish on the reel, and boy, does it shoot. We encountered plenty of wind—the kind that stirred up small craft advisories. And more often than not, we found ourselves having to pole and fish into it to keep the sun behind us. All that to say that Amplitude cuts through the wind like a sneeze through a screen door. The Grand Slam taper is impressive, too. Equally adept for punching long casts, the line is easy to pick up and make snapshot casts to sneakier fish at medium and short distances. One red was skirting past us down a sandy shoal and got to our three o’clock before we spotted him. With hardly the time to pivot, much less wind up a measured presentation, I just backhanded my best guess, laying the fly down a foot off his nose. SA deserves all the credit. The Grand Slam line is rated for medium and hot water. We measured water as cold as 51°F in the marsh and and as warm as 67°F on the flats in the Chandeleurs. The line never felt stiff, but remained supple and easily turned over the heavy flies we were trying to sink in deeper water where most fish seemed to be. As a trout bum, I admit I’ve let frugality get the best of me when choosing fly lines in the past. Over the years, I’ve fished all the major brands and I’ve learned two truths. One, you get what you pay for—cheap lines are cheap lines that will fail when you need them most. And two, Scientific Anglers’ Amplitude series is the best fly line I’ve ever fished; it’s worth every penny. Whether it was diffused light from overcast skies, long runs through the marsh in the cold of first and last light, or the bright brilliance of bluebird days, we experienced just about every light condition imaginable. The new 580G lenses mounted in Costa’s Slack Tide frames were up for the challenge. I’ve long been familiar with Costa sunglasses and have guided in them for years. This was my first experience though with their 580G copper silver mirror lenses, which are designed for varying light and allow in 2% more than do their blue/green/grey silver mirror alternatives. Of course, the increased light transmission was handy on the overcast days without causing any hint of eye fatigue in bright sun. The 580G lenses are crisp and clear. They’re super lightweight and comfortable to wear all day long and in changing weather. The Slack Tide is a stylish frame that breathes well while you’re covered up with a Buff without fogging up. They’re just as comfortable to drive in or wear to the ballgame as they are on the flats boat. Of course, Costa offers numerous sunglass styles and new frames. I’d recommend you visit a dealer or their online store when choosing which style works best for you, but there’s no doubt the 580G lenses will be helping me find fish in the seasons ahead.